The Openg children of two girls and a boy are among the many raw talent in the Falcon Athletic Club in Seremban. The children of an excavator operator Muhd Arif Openg from Sarawak – Muhd Sharul (eight years-old), Nur Shafilia (eleven) and Nur Shaida (12) – have been part of the Falcon athletics programme for the last two years. Pint-sized Nur Shafilia is seen as the brightest spark among the three with her agility, speed and well-structured body for athletics. “Nur Shafilia maybe a little small and short for her age, but she has tremendous potential to be a sprinter,” said P. Tamilselve who supervises her training. “The other two siblings too have a natural ability to be athletes, but Nur Shafilia seems to standout,” said Tamilselve a former Penang athlete who has moved to Seremban since her marriage. 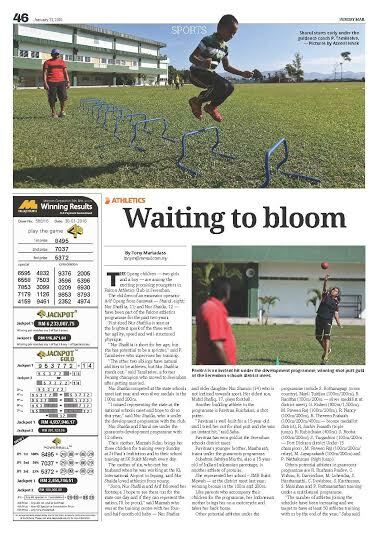 Pint sized 11 year-old Nur Shafilia shows her agility and potential to become a top athlete in trainingNur Shaida has already competed at the Negri schools athletics meet last year where she won silver medals in the 100m and 200m. “I missed to represent the state at the national schools meet and hope to achieve it this year,” said Nur Shaida who is under the development programme with the club. Nur Shafilia and Muhd Sharul get special attention from coach P. Tamilselve before they do their routineNur Shaida and Muhd Sharul are under the grassroots development programme together with 12 other athletes. Their mother Maznah Sidar diligently brings her three children for training every Sunday at St Paul’s Institution and to their school training at SR Bukit Mewar every day. The mother of six who met her husband when he was working during the building of the KLIA project in Sepang, said Nur Shaida showed interest in athletics from young as she loved to run. “Soon Nur Shafilia and Muhd Arif followed her footsteps too. I hope to see them represent the state one day and if they can represent the nation in time, I will be very proud,” said Maznah who was at the training centre with her four-and-half month old baby – Nur Shafira and older daughter Nur Shamin (14) who is not inclined towards athletics. Her oldest son, Muhd Shafiq (17) plays football. Another budding athlete in the programme is 15-year-old Pavitraa Kuichalan who is a shot putter. “Pavitraa is well-built for a 15-year-old and I decided to try her out for shot putt and she was an instant hit,” said S. Sabapathy. Pavitraa, who is under the development programme has already won the gold medal at the Seremban Schools district meet. Pavitraa has another younger brother, Maahsisah training under the grassroots programme. Another 15-year-old of Indian and Indonesian parentage, Subahtra Sahtiya Murthi is another potential athlete who can go far. Subahtra has represented her school – SM Bukit Mewar – in the Seremban district meet last year and won the bronze in the 100m and 200m. Like many parents who bring their children for the programme, her Indonesian mother brings her to the programme on a motorcycle and waits for her to finish her training before taking her home. Others potential athletes in grassroots programme are R. Rushaan Pradev, C. Vishnu, R. Darvindran, M. Lohendra, S. Harshamathi, C. Devishree, S. Kartheesan, S. Manishaa and P. Pathmanathan training under multi-lateral programme. “The number of athletes joining the programme has been steadily been increasing over the years and we target to have at least 50 athletes training with us by the end of the year,” said Sabapathy. The hot morning sun is not a deterrent to these young athletes who train hard. 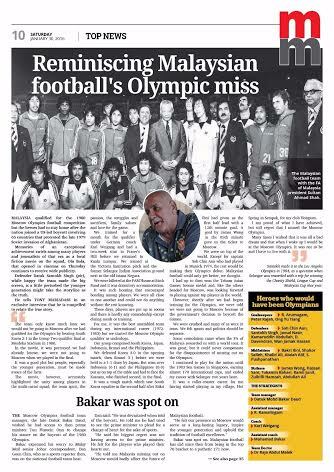 Datuk Santokh Singh was happy that a local fictionalised movie on the 1980 Moscow Olympics squad – Ola Bola – was made and opened in cinemas on Thursday. However, the 63-year defender who featured in the Moscow squad, was a little perturbed that the younger generation who were not aware of the facts of the qualification, may take the movie’s story line as the truth. While he praised the movie for bringing out the unity among the players in the multi-racial team, the team spirit, the passion, the struggles portrayed, sacrifices made, family values and the love for the game, he said he is bound to make some facts known. Santokh in an exclusive interview with TONY MARIADASS, tells the story as it was with the 1980 Moscow Olympics squad, their qualification and the disappointment of not making it to the Olympics because Malaysia went to boycott the Games due to the American-led political boycott to protest the late 1979 Soviet invasion of Afghanistan. A total of 65 nations boycotted the Games. “For starters, it must be said that the team only knew that we will not going to Moscow after we had qualified for the Games beating Korea 2-1 in the qualifying Group 2 final at the Merdeka Stadium. In the movie it was portrayed that it was already known that we are not going to Moscow when we played in the final. It was a good plot for the movie, but I want to put the facts right for the younger generation. We trained for a month for the qualifiers under German coach Karl Weigang and had a two week stint in Fraser’s Hill before we returned to the city. 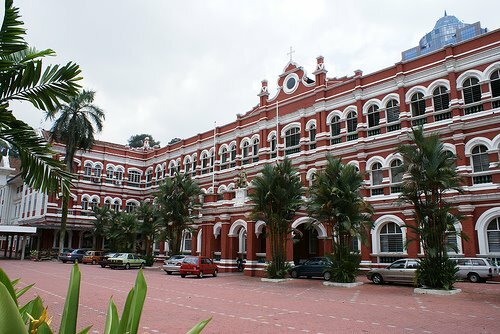 We trained at the Victoria Institution and the former Selangor Indian Association (SIA) ground – next to the old Istana Negara. We were billeted at the FAM House at Birch Road and it was dormitory accommodation. It was this kind accommodation which made the players bond and become close. We could not do anything without the rest knowing. These days, players are all put up in rooms and there is hardly any comradeship except when they come for their meals or go for training. For me, it was the best assembled team during my international career (1972-1983) but we started the Moscow Olympic qualifier as underdogs. 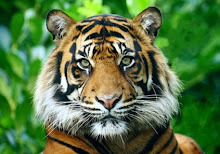 We had for company in our group – South Korea, Japan, Indonesia, Brunei and Philippines. We defeated Korea 3-0 in the opening game, then Brunei 3-1 before we were held to a 1-1 draw by Japan. But wins over Indonesia (6-1) and Philippines (8-0) to top the one round league round and play Korea, who finished runner-up, in the final. It was tough match which saw Korea equalise in the second half after Bakri Ibni had given us the lead for halftime. It was James Wong’s goal give minutes from time which gave the victory and ticket to the Moscow Olympics. The feeling we had was being top of the world. Except for our captain Soh Chin Aun who had played in the 1972 Munich Olympics, for the rest of us it was making a debut. Olympics was like the ultimatum for any footballer and having qualified, we were all looking for better things for Malaysian football. For me personally, up to then winning the Asian Games bronze medal in Tehran was the highlight of career then. But qualifying for the Olympics saw me imagining the feel of competing against the world’s best, staying in the Games Village and missing with athletes from all over the world. However, shortly after we had begun training for the Moscow Olympics, we were told that we were not going to Moscow because of the government decision to boycott the Games. The whole world came crushing down on us and many of were in tears when told of the decision. We could not reason with the decision. A majority of us felt that sports and politics should not be mixed. But the decision was final. The only consolation was the FA of Malaysia decided to reward us for qualifying for the Moscow Olympics by going for a World playing tour instead of heading to Moscow. It was great to go on the world tour, but it could never compensate for the disappointment of not going to the Olympics. I continued to play for the nation until the 19983 Sea Games in Singapore and ended my career with Selangor two years later. It was a rollercoaster career for me starting off a player playing in my village (Hot Spring in Setapak) for my club Hotspurs. I was born in Setapak and it was in my neighbourhood that I natured my love for the game. Being a defender, my idol was naturally M. Chandran, whom I had the honour to play alongside for a year when I made my debut with Selangor in 1972. Later it was Chin Aun who was my motivator as we played together for a long period. I started off by playing for Selangor in the Burnely Cup (Under-20 national tournament) in 1971 at the age of 17. 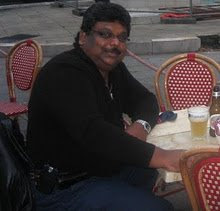 I also played for a club in the Selangor league – MICO (Malays, Indians, Chinese and others). It was the late Datuk Harun Idris, the Selangor Menteri Besar, whom I went to see for a job who sent me to PKNS where I started work the very next day and was with them for 19 years. Those years, football was a career path for us youngsters. We did not earn much and started my job with a salary of RM180. Training with Selangor we were paid RM5 per training session and a match allowance of RM30. When Selangor won the Charity Shield, League Cup and Malaysia Cup in 1984, we were paid a bonus of RM14,000 and a trip to the Los Angeles Olympics. Today a player gets paid RM40,000 a month and still wants to move to another team. I never earned an annual income of RM40,000 during my playing days. But I know I cannot compare my era and the present era when the game has gone professional. But what I cannot understand is why the standard has not improved with the high wages paid and the game gone professional. If I was to pin down on why, it is simple. Players these days do not have the discipline, passion and commitment to win. They don’t love the game. They love the money. I went to collect almost 170 international caps. These days’ players come and go because they do not have the quality and the will to stay on top of the game for a long period. I have Sea Games gold medals (1977 and 1979), Asian Gams bronze medal (1977), champions in Merdeka tournament (1973/74/76) and numerous titles with Selangor. 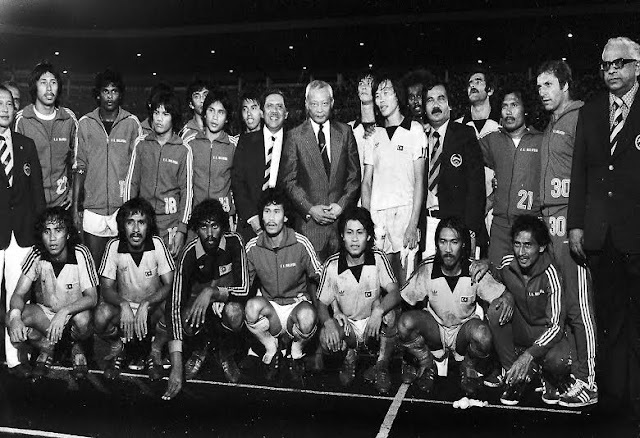 The Moscow Olympics qualifying football squad team manager, the late Datuk Bakar Daud, had wished then he had access to the prime minister Tun Hussein Onn to change his stance on the boycott to the 1980 Moscow Olympics. Malay Mail Johor correspondent, Dan Guen Chin, as a sports reporter who was covering the national team than, was told of Bakar’s wishes. 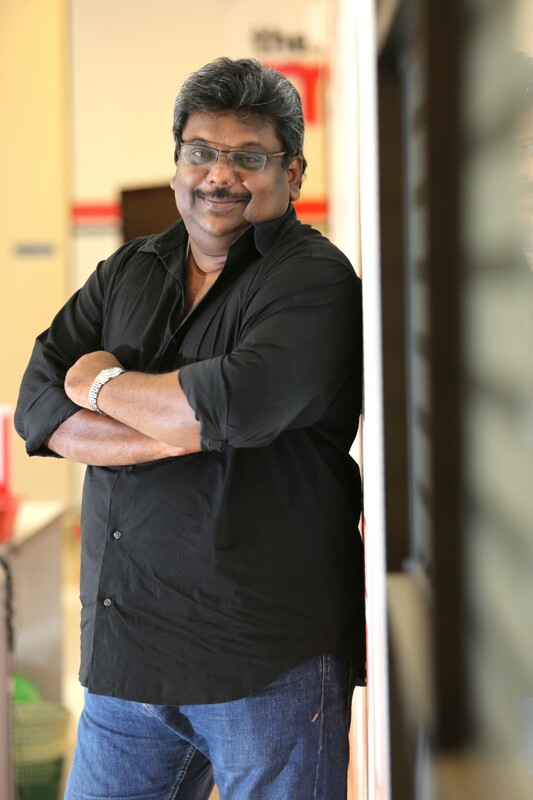 “Datuk Bakar was devastated when told of the boycott. He told me then he had tried to see the prime minister to personally make plea to have a change of heart in the name and sake of sports,” Dan revealed. “He said that he did not have the access and it was his biggest regret. He felt for the players who played their hearts out. Indeed Bakar was spot on, as Malaysia’s football performance took a slide since then and has not recovered. Malaysia was ranked in the 70 bracket while the current ranking is 171.